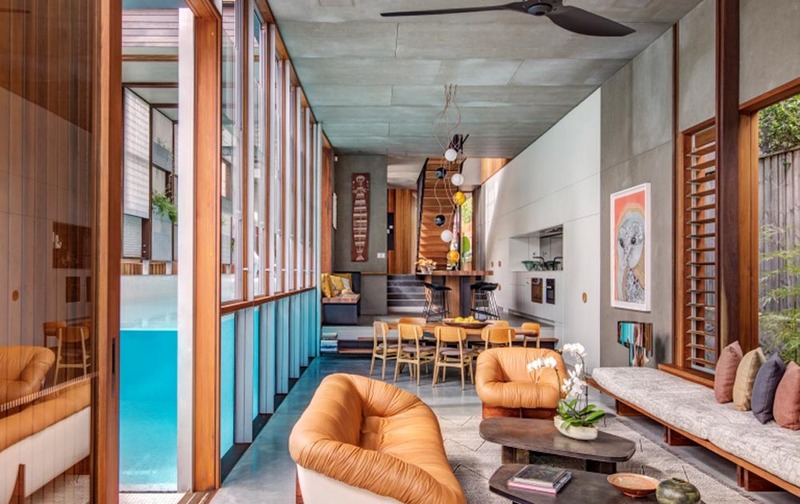 This stunning, single-family residence is located on a narrow site in North Bondi and has been built for entertaining. 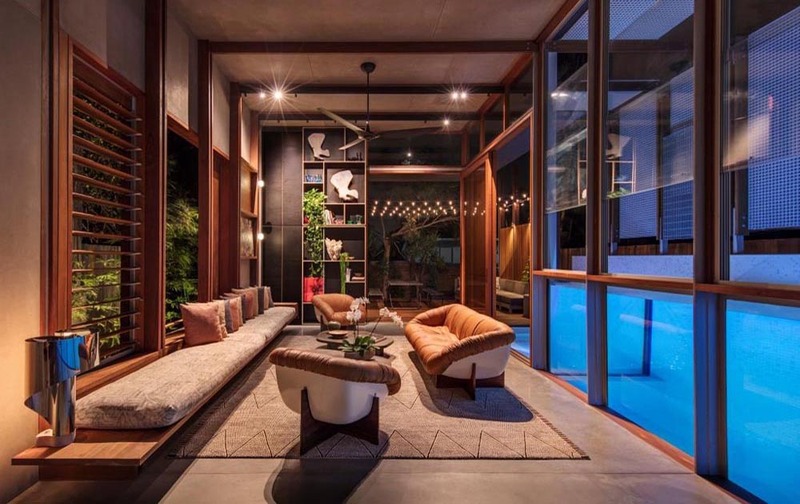 The home features a unique lap-pool abutting a double height social space which spills out to the rear BBQ area. 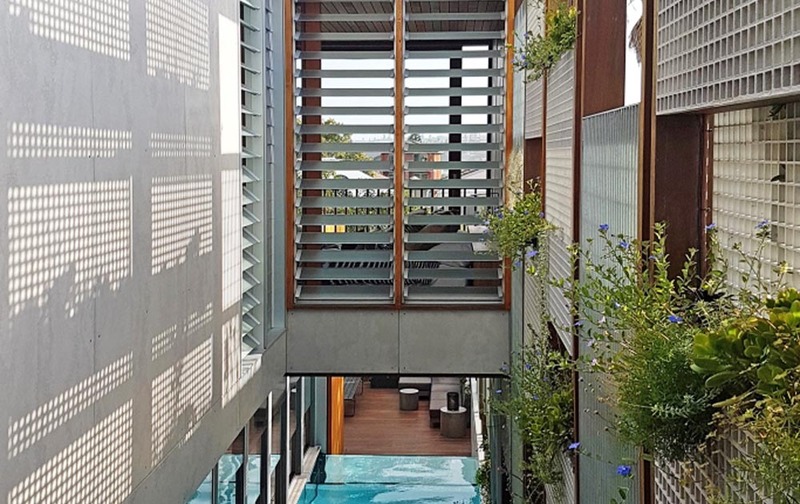 Living green wall screens to the front and side facades provide privacy and a sense of retreat. Conceptually, the spatial planning of the house is split into social and family spaces. Downstairs, the kitchen, living, dining and outdoor spaces are located to optimise solar access while enjoying strong visual connections between spaces. The acrylic wall between above ground lap pool and louvre room refracts sparkling natural light into the double height social spaces, wrapping indoor and outdoor spaces together. 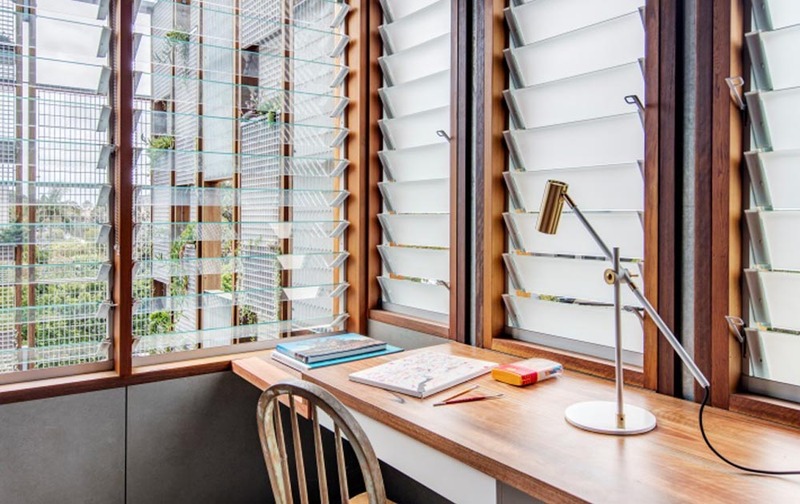 This has been achieved by specifying Breezway Louvre Windows into the design due to their stylish appearance and ability to provide uninterrupted views between spaces. Upstairs, each bedroom enjoys an outlook onto a private outdoor green space. In some cases, this is onto a vertical garden, which doubles as a privacy screen from neighbours. The home features predominantly raw, low embodied energy materials throughout with 10,000 litres rainwater storage and a massive 10KW solar system on the roof. CplusC was keen to maximise reusable materials from the existing household to provide a sense of connection with the previous residence. The front carpark was retained and planters and timber from the demolition stage were reused for furniture and planting as a part of an effective cost saving and sustainable decision.